Bell’s palsy is a medical condition in which the patient experiences trauma to a particular cranial nerve and the result is weakened or paralyzed facial muscles on one side of the face. The good news is that there are various effective treatments, including acupuncture. You’ll find skilled and highly trained acupuncturists at Balanced Health Medical. From our offices in Manhattan and Hell’s Kitchen, our professionals can provide relief for the various symptoms of Bell’s Palsy. Bell’s palsy is caused by some degree of trauma to what’s known as the facial nerve. It can happen to anyone, but those particularly susceptible include individuals with diabetes or those who might have recently had a viral infection. The sudden and very odd feeling of paralysis might have you convinced that you’re having a stroke, and that can be a terrifying thought. But the condition will be confined to one side of your face only, and it will eventually go away. A stroke, on the other hand, would most likely also affect other parts of your body and be a much more serious condition. Regardless of the cause, the trauma causes swelling of the affected nerve, which causes it to press against the skull. That messes up how the nerve operates and you’re left with the feeling of having a frozen or limp face, but only on the one side. Acupuncture involves the painless placement of very thin needless on various regions of the body. Acupuncture treatment for Bell’s palsy restores nerve function by improving the circulation of blood in the face and reducing the inflammation. As mysterious as it sounds, even ancient Asian medical practitioners have long understood at least one effective way of responding to what we now call Bell’s palsy. 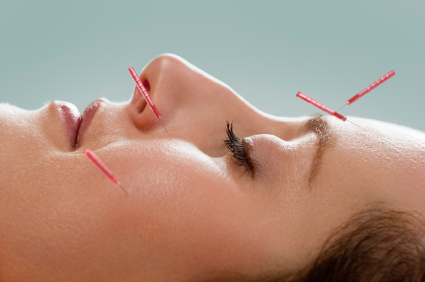 Acupuncture has been a recognized treatment in Chinese culture for thousands of years. Balanced Health Medical in Midtown New York City, is a leading chiropractic clinic that also extends physical therapy and rehabilitative services. We’re also highly trained in the medical science of acupuncture to safely and effectively treat Bell’s palsy and other medical conditions. You can reach Balanced Health Medical at (212) 755-1717 to schedule an appointment for acupuncture or other comprehensive services. Find out more about how we can treat your Bell’s palsy with acupuncture at our chiropractic clinic in 10022, NY, serving Midtown, Midtown East, Midtown West, Manhattan, and Rockefeller Center. Schedule an appointment and we’ll customize a treatment plan to meet that or other healthcare needs.